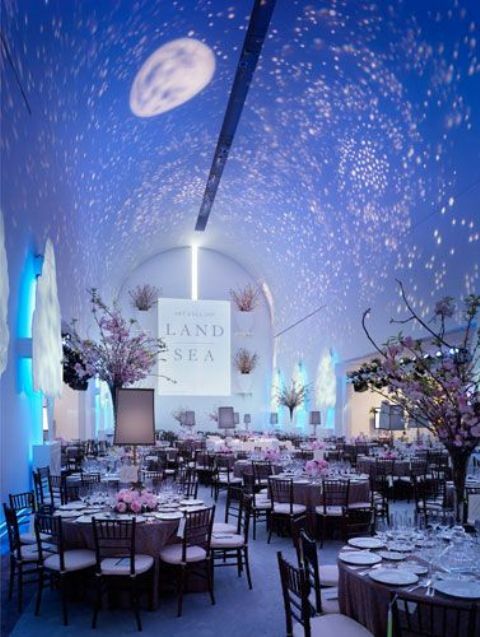 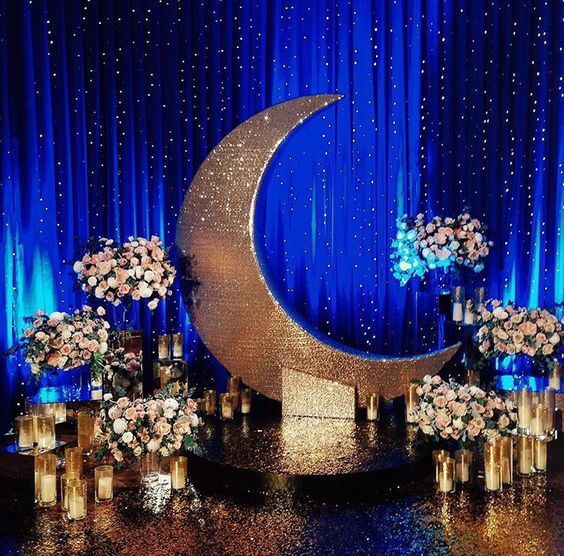 Night wedding ceremonies and evening weddings themselves are getting more and more popularity, and if you feel like that, a starry night wedding theme is a great idea. 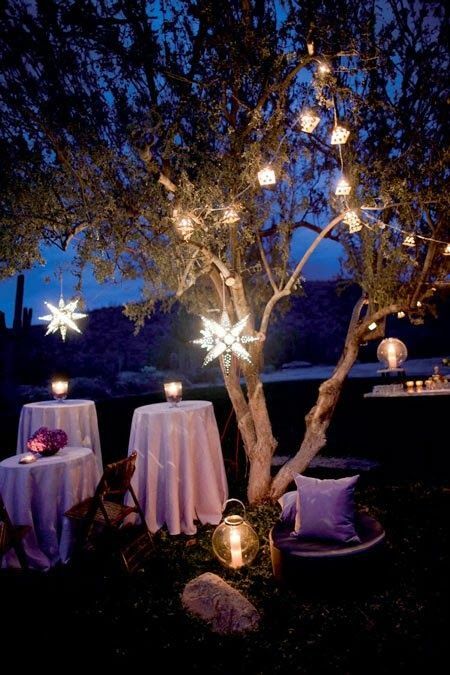 Such a theme looks very romantic in any season, from summer to winter. 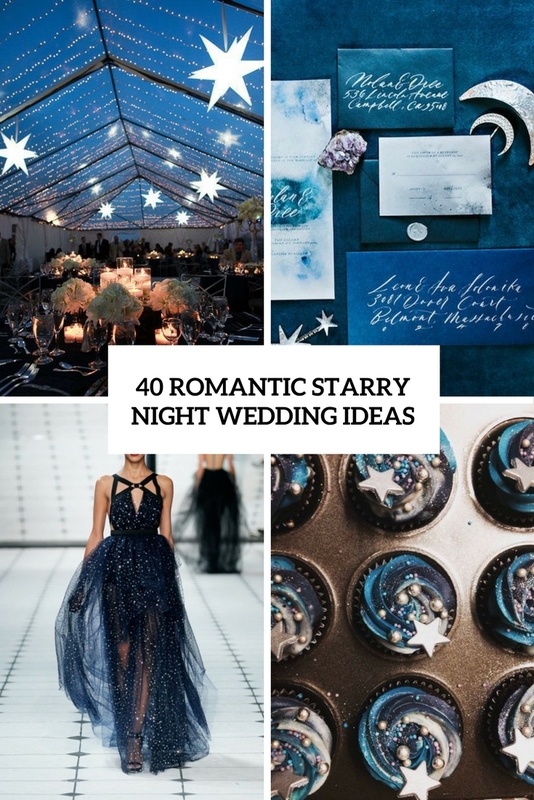 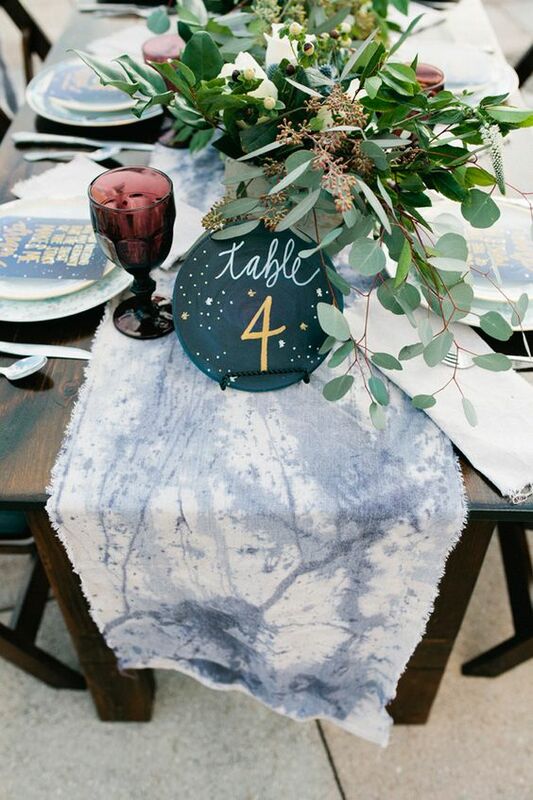 We’ve already shared some constellation wedding ideas but these can be used just as a part for a starry night or some other themed wedding. 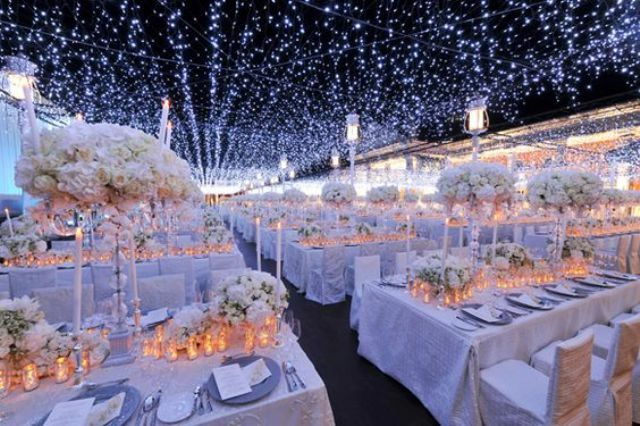 Let me show you the beauty of this theme. 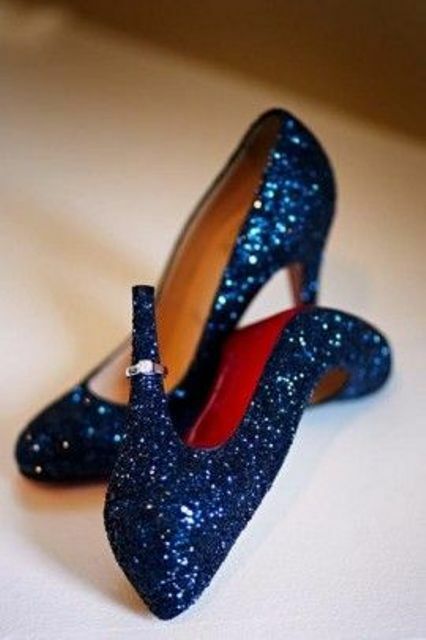 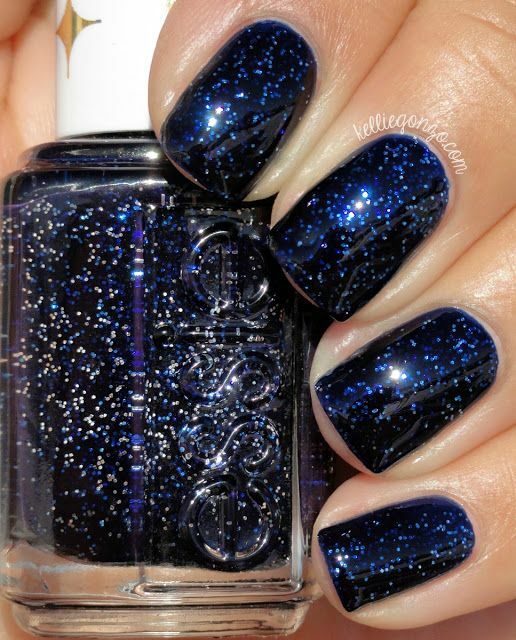 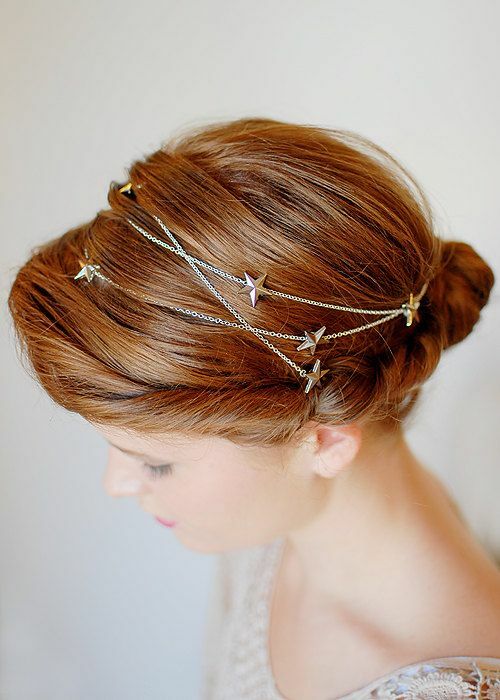 Add stars and sparkles to your own look! 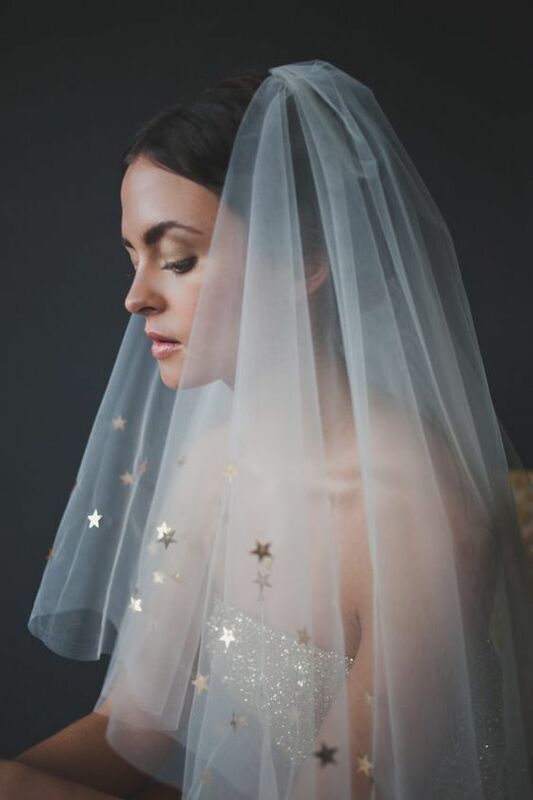 It can be a sparkling wedding dress, a gown with star detailing and shining embroidery, or even a midnight blue wedding dress with sparkling rhinestones. 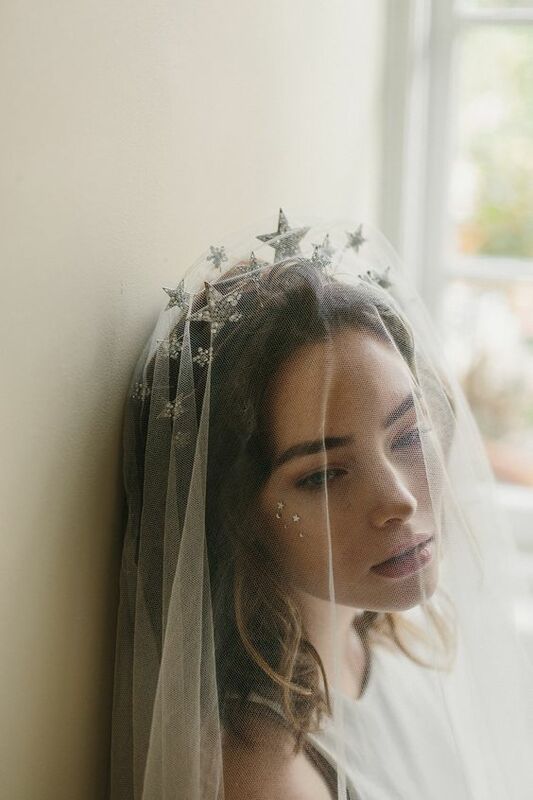 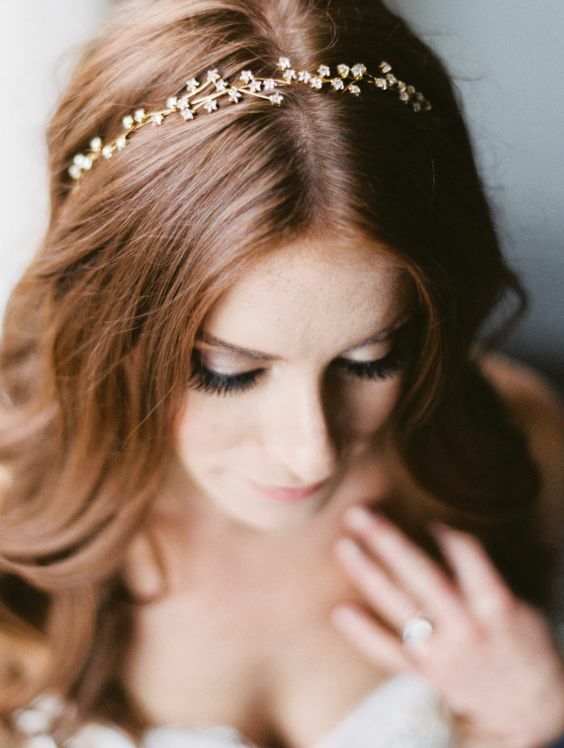 If you don’t want to rock an unusual dress, try sparkling navy shoes or a gorgeous starry headband or headpiece, and you can even find a star decorated veil. 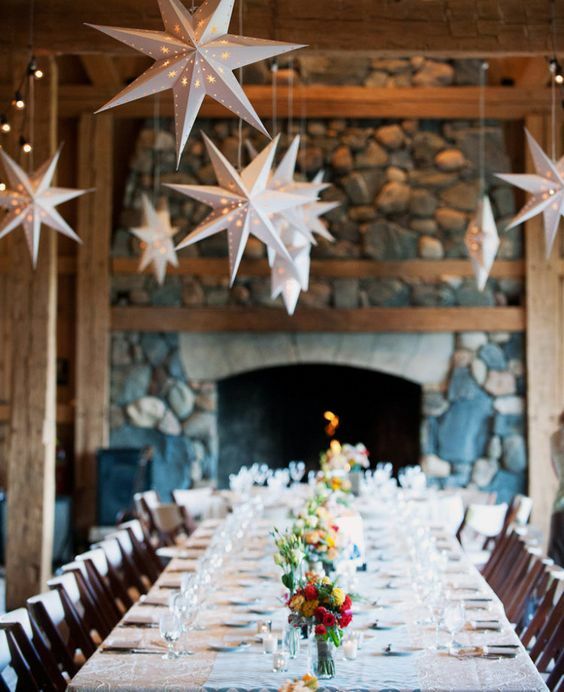 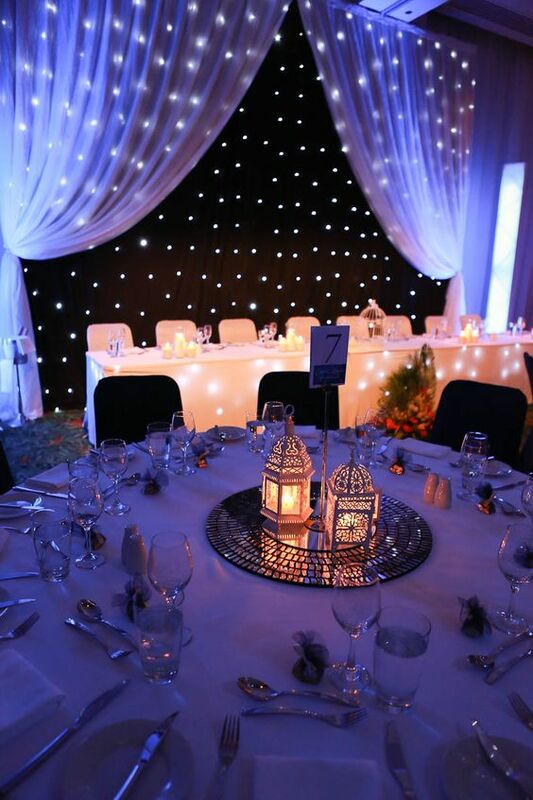 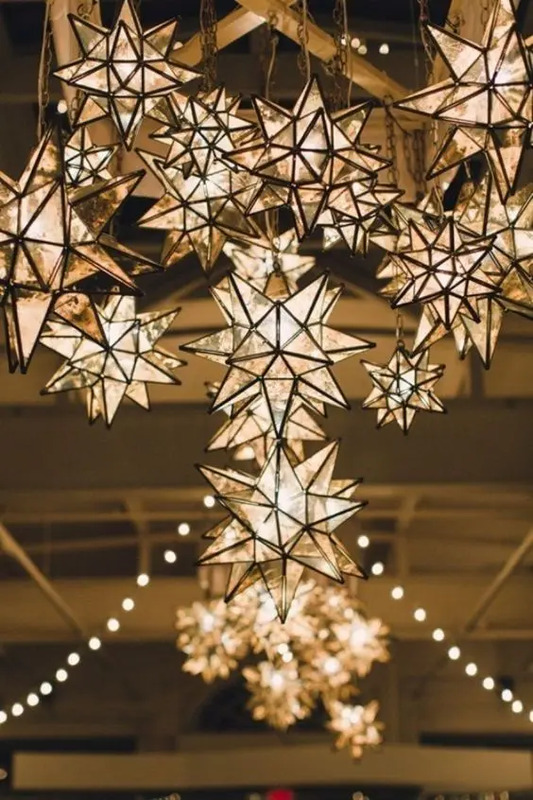 Lots of lights and 3D star shaped lamps and lights are the key to your starry night wedding décor, there’s no starry wedding without stars and the moon. 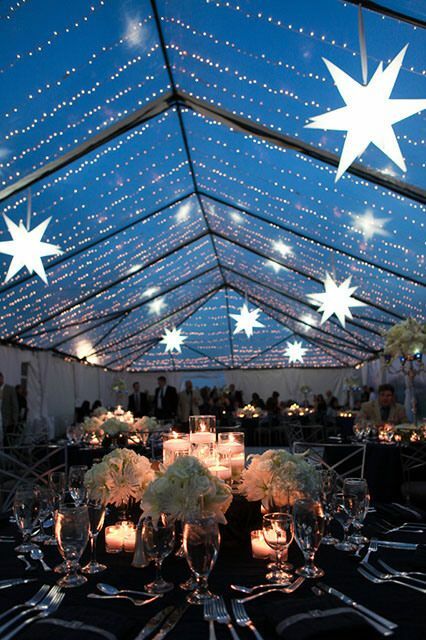 Cover the whole venue or tent with lights, and if you have a dark backdrop – mightnight blue or grey, the lights will stand out even more. 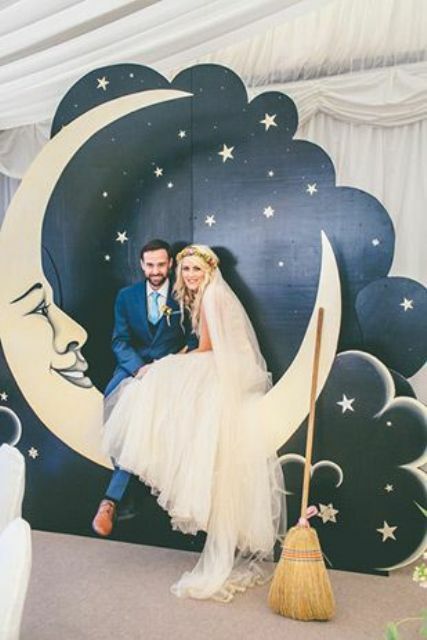 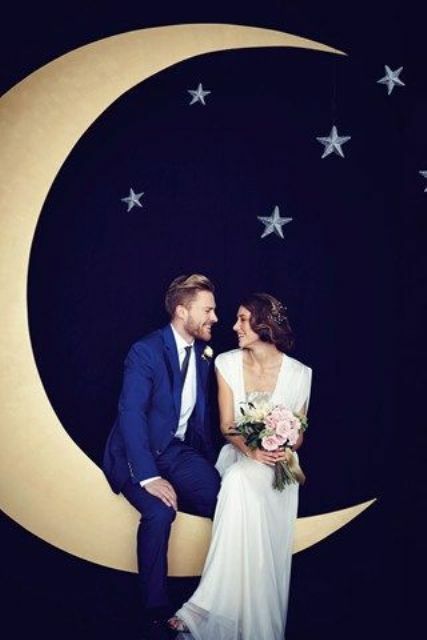 Make luminaries, a photo booth and create a unique wedding ceremony space with a starry arch or an oversized half-moon. 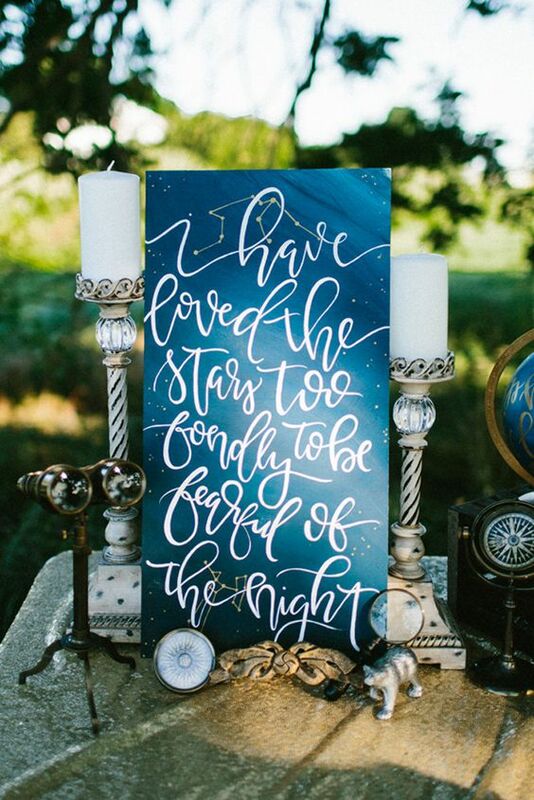 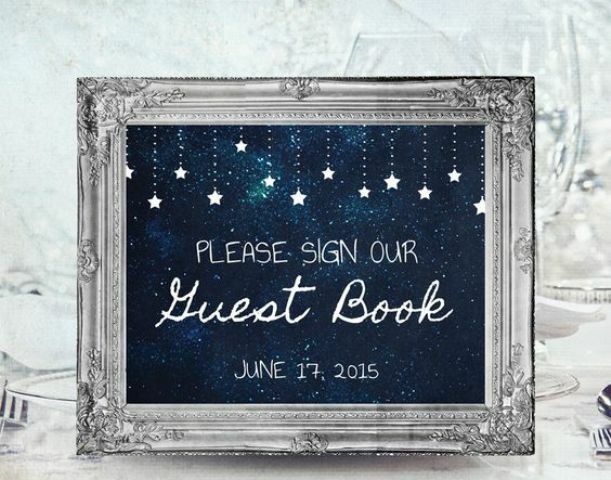 Make signs and stationary in blue shades and with star prints and constellations. 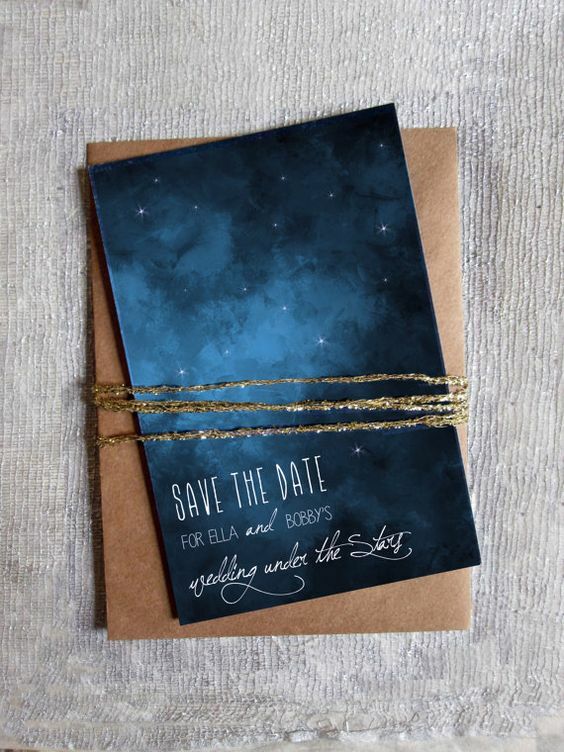 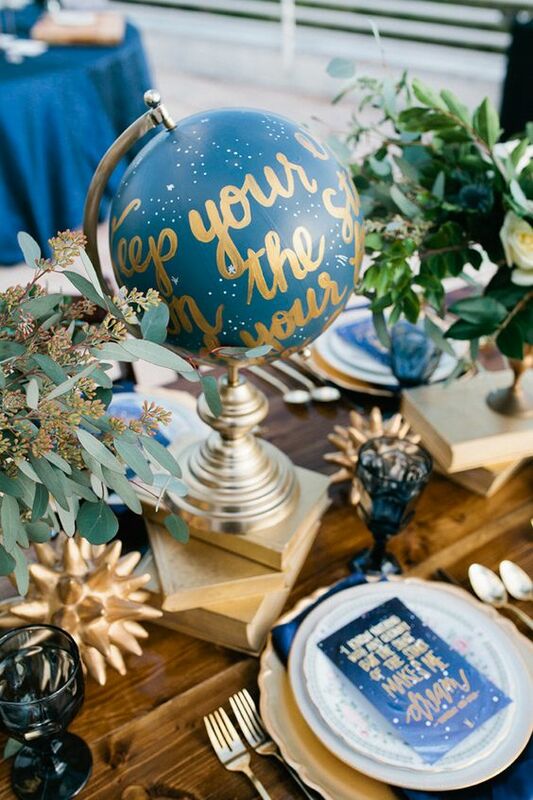 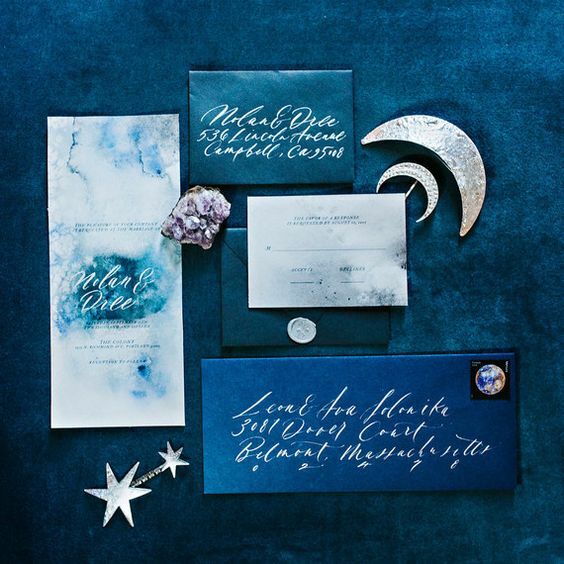 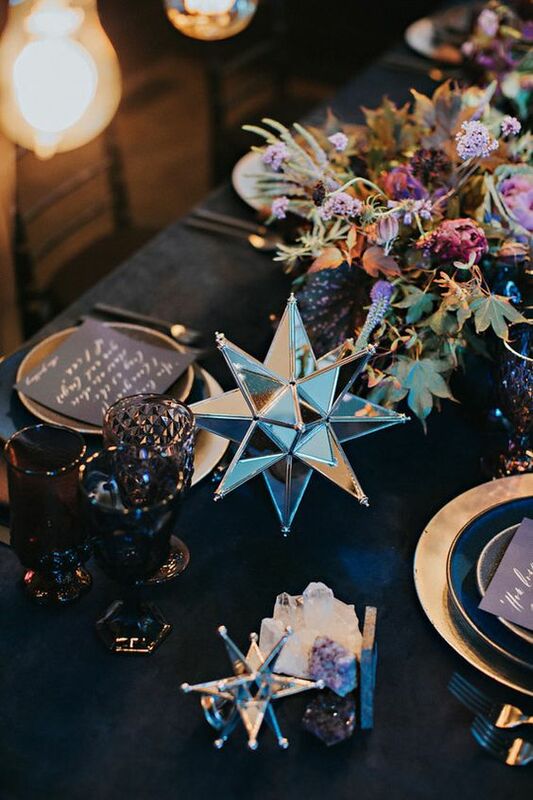 Navy+gold or silver is a very elegant color combo, and it is absolutely perfect for a starry night wedding. 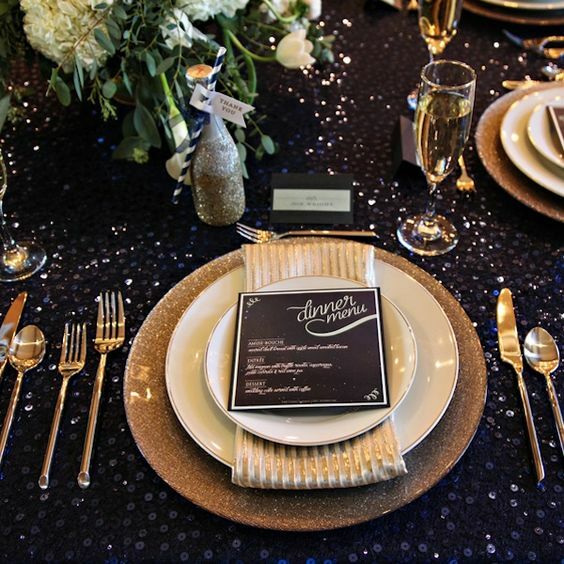 Cover the tables with sequin tablecloths or table runners in navy and add gold flatware, luminaries and candle holders. 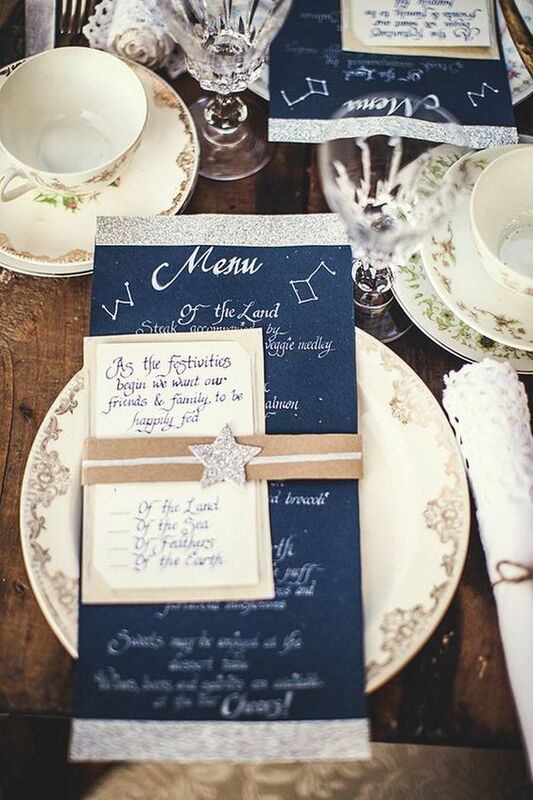 Choose favors and covers themed as your wedding, you can make them yourself to personalize. 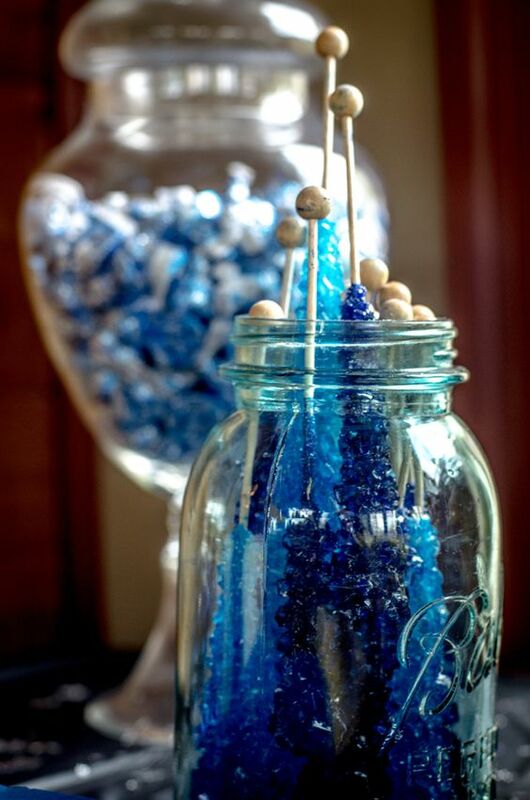 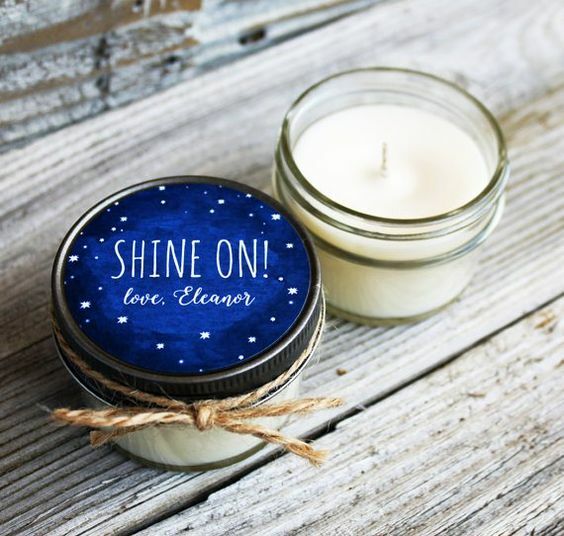 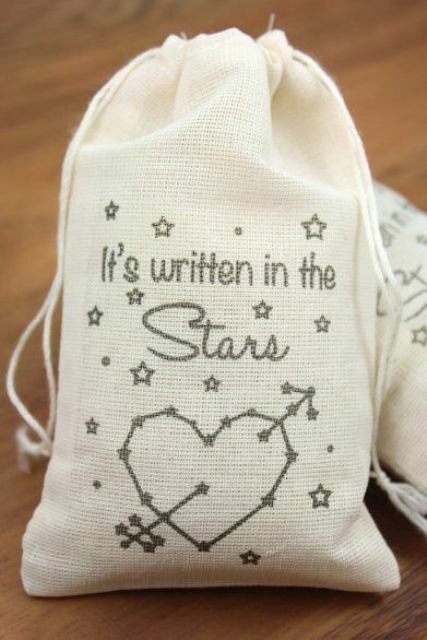 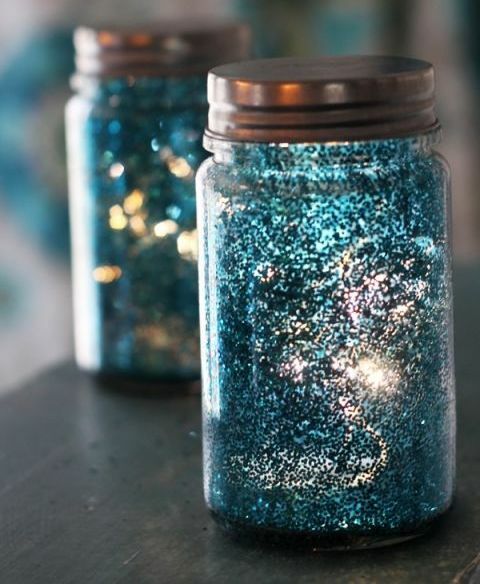 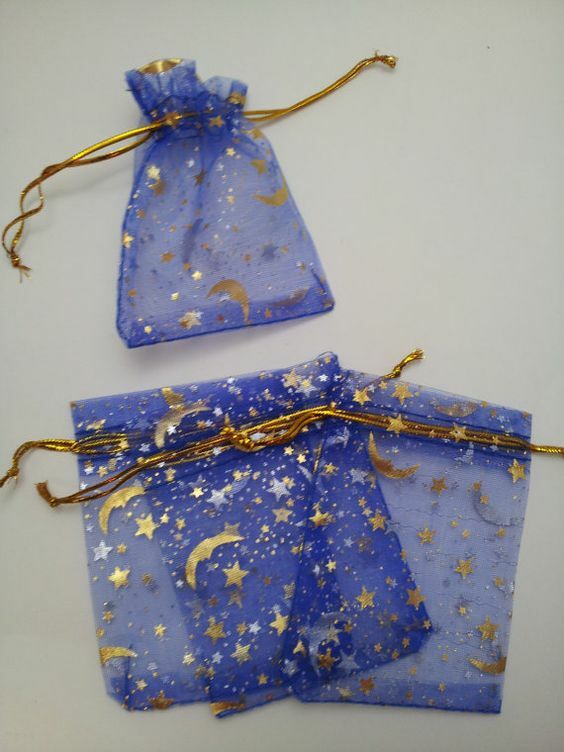 Make cool candles or soaps and wrap them with starry covers, or put into star decorated organza bags. 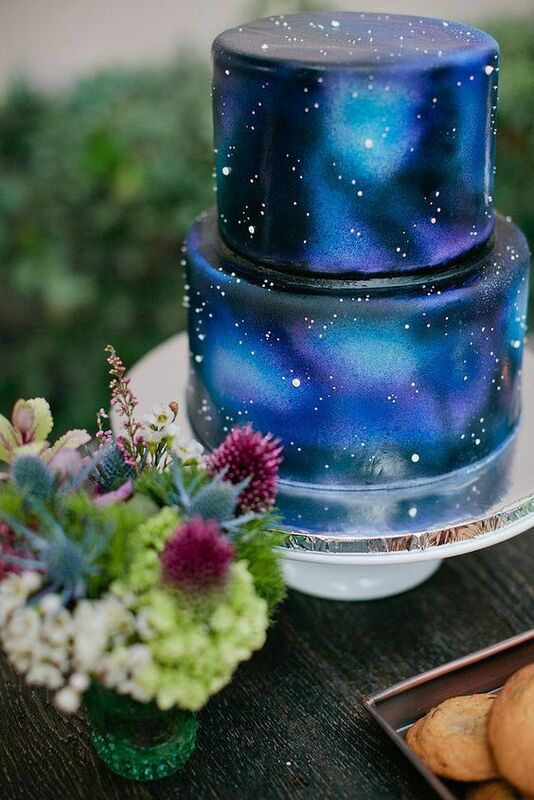 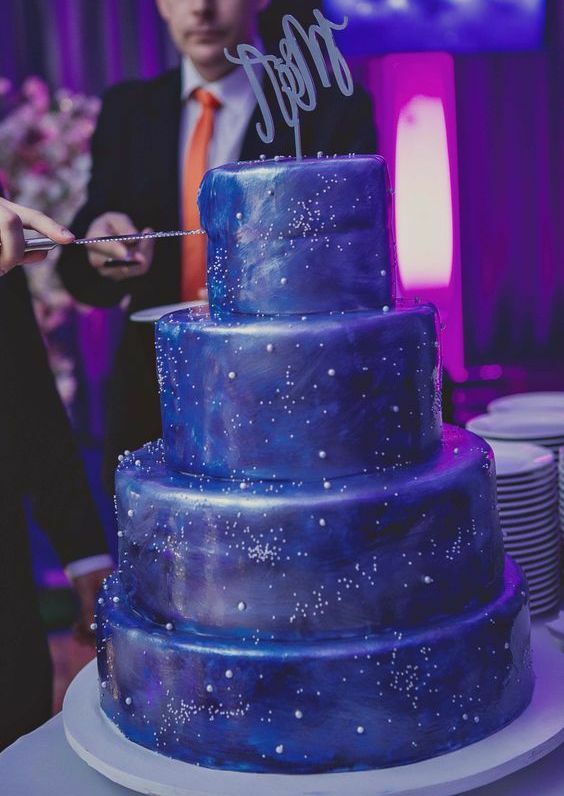 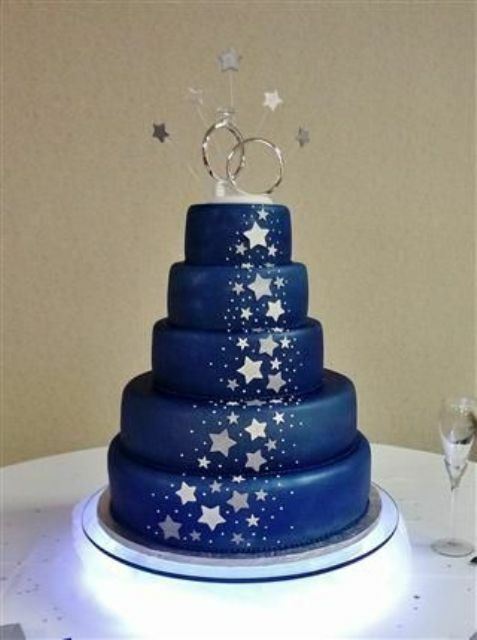 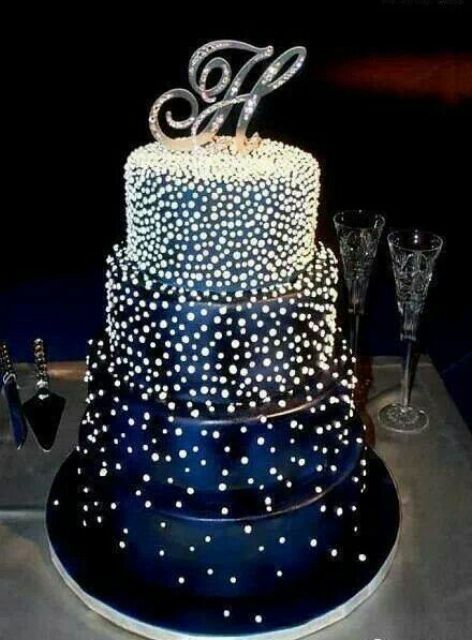 Your wedding cake can be a nice addition to the décor – rock a blue/grey/purple wedding cake with starry and moon décor or with constellations. 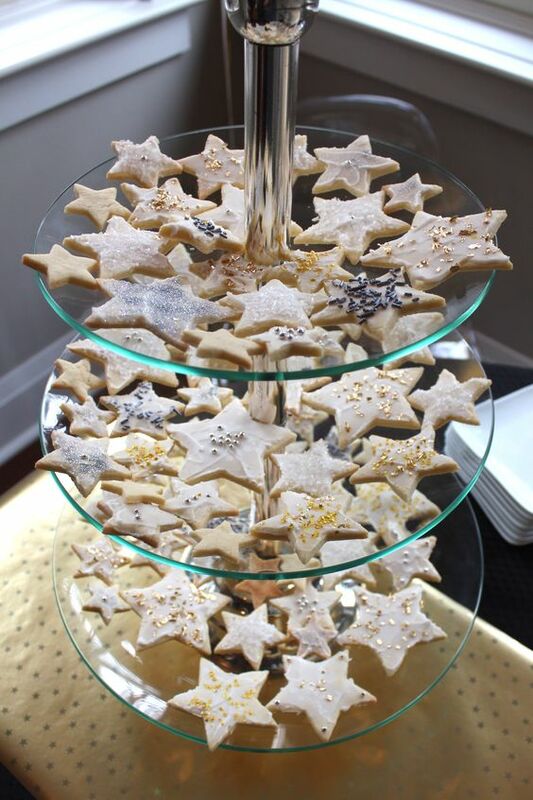 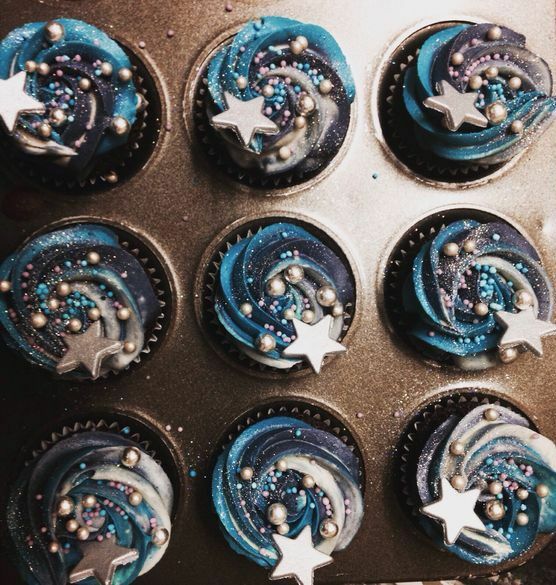 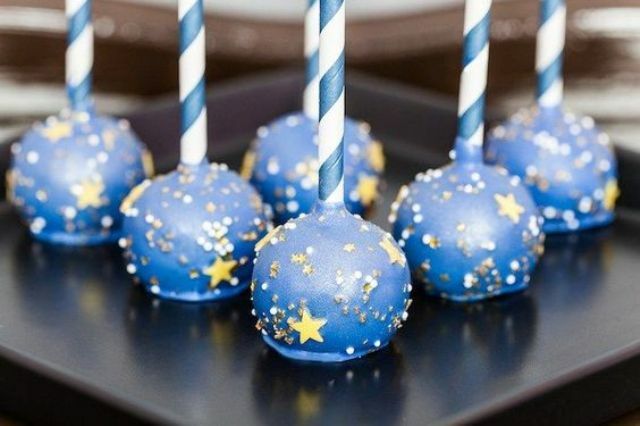 Add cupcakes topped with edible stars and beads, cake pops with stars and star-shaped cookies.